An intersting concept of mobile cellphone was developed by designer Sam James Chu. If you’re tired to type a message or to search for the caller’s name in your phone this phone is for you. 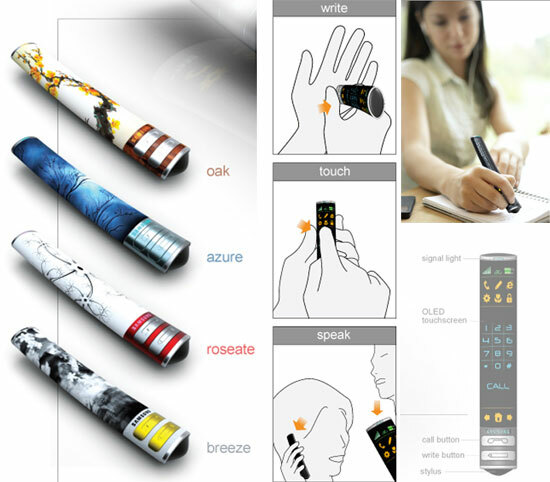 This interactive cellphone Mimeo is a pen by itself. Just write down the person’s name or phone number at the hand and then press the call button to start the conversation. Such solution greatly saves the time needed for typing. 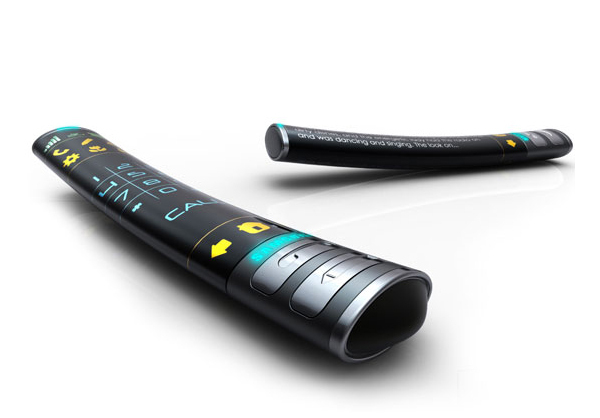 Maximum comfortable navigation through the menus provided by a touch OLED-display. Besides it have very stylish look and many variations of design. One thing is unknown for me. Using keyboard during many years I forgot how to write understandable. Will this cellphone detect my doodles?